Highwater caused by high water & dam going out - at Tualatin Riv. [probably Oswego (Sucker) Creek] Gift of Ava Crowe. Description Faded, scanned as B & W, tears on corners; torn from an album. See also 726a & b; photo taken by Will Bickner. 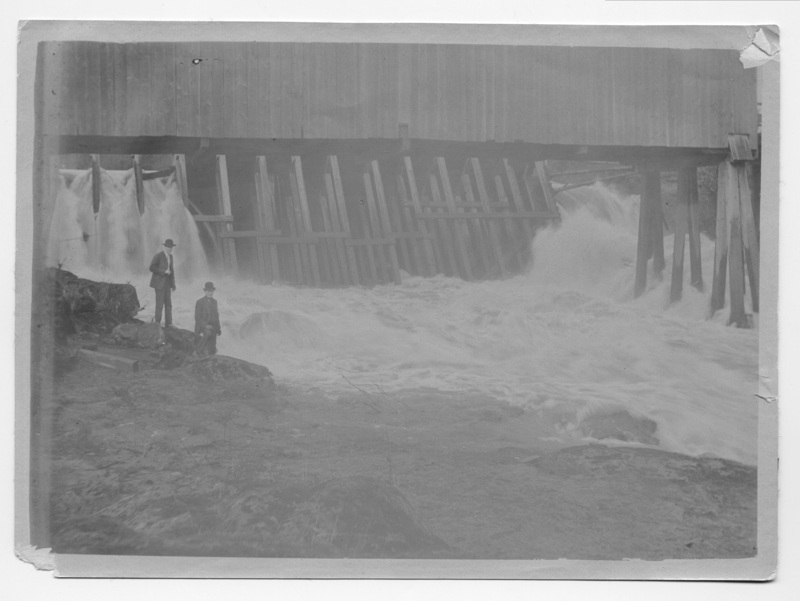 May be the 1909 or 1916 flood. Transcription Highwater caused by high water & dam going out - at Tualatin Riv. [probably Oswego (Sucker) Creek] Gift of Ava Crowe.